If you are a follower of Tibetan Buddhism, then you believe in progressive revelation. By definition, progressive revelation means to reveal something that is hidden, lost or needs updating. 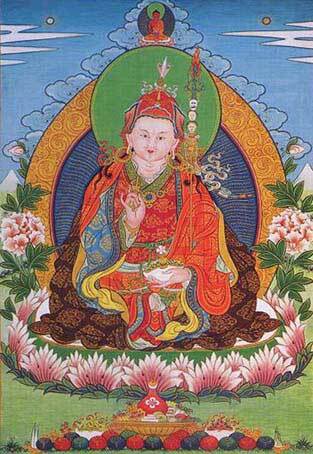 About 1,200 years after the Buddha, Padmasambhava was an instrument of progressive revelation. Three hundred years after him, two lamas of great attainment continued the transmission of the teachings by direct contact with the guru. Naropa was one and the other, Milarepa achieved enlightenment in such an extrordinary way that his life became a progressive revelation. In another 300 years, Je Tsongkhapa was in direct contact with Manjushrii to update the teachings of Buddha once again. There are others but it is not important who learned what, or when they learned it. The point is, progressive revelation is alive and well in Tibetan Buddhism. If you notice in nearly all major religions there is no progressive revelation. The message begins and ends with the original prophet or messenger. Even in Christianity, the Book of Revelations is considered an anomalynot a precedent condoning future revelations (except by Jesus himself). A curious phenomena don't you think? Because of Guruyoga, or the direct transmission of secret teachings, this is not the case in Tibetan Buddhism although most westerners do not really fully understand this. Sitting in a question and answer session with a Rinpoche one day, I was amazed at some of the questions by the audience. Some long time practitioners held the concept that the Buddhas were in some far off nirvanasome distant untouchable placewhere they rarely take notice of us mere mortals. Nothing could be further from the truth. They are present and ever ready to help mankind. Why would we need tertöns or termas (hidden teachings)? It's simple. The further removed from the source, the more diluted and distorted the original message becomes. An obvious case in point is all of the gnostic gospels and other interesting facts about Jesus, his life and teachings coming out in the last hundred years. We were not getting the whole story. There were mysteries that Jesus taught in the upper room that we have been deprived ofsometimes on purpose. Less obvious is what has happened to Buddhism. Buddha came because Hindus were being caught up in materialism and looking for God outside of themselves. He stressed the God or Buddha within. But even Buddhism is not immune from permutations over time. The lesser self and the carnal mind has always tried to take Buddha's message and dilute it. Add the impetus of malefic forces over the centuries continually putting top spin on the original release and you have a distorted message spiraling downward. What was the spin they emphasizied in Buddhism? Focus on the God within and not the ones who have already achieved enlightenment and made their ascension. Most Buddhist schools or lineages have become intellectualized. Misconceptions in Zen Buddhism is the most obvious example. The concept of "God" is often tmes sidestepped, even by the highest lamas. An abstract theology that allows all sorts of behavior and sophist thnking has taken over. It's one of the reasons Buddhism has become popular in the west. Much of Buddhism and meditation has become self-centered and self-absorbed and in extreme cases, almost nihilistic. A sad state of affairs when you consider all of the Bodhisattvas and Buddhas that are waiting for a prayer to help mankind. Not even buddhist mantras or prayers themselves, are fully understood. If one does not expect a Buddha to come out of Nirvana to help, is that mantra going to have the force of will and feeling to reach that Buddha? It's a curious thing, many people consider ancient languages such as Sanskrit and the words they contain, imbued with mystical powers. This is a little bit superstitious. While it certainly is true that thousands of years of saying certain mantras e.g. the AUM, adds a momentum and spiritual energy behind the words, it is not an exclusive phenomena. Masters lend their attainment to the giving of their mantras. 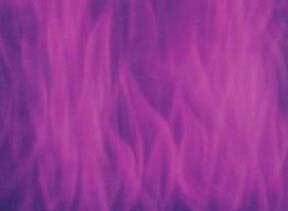 And if you accept progressive revelation, then as Guru Rinpoche says above, "... the most sacred treasure of all ... is the violet flame mantra." 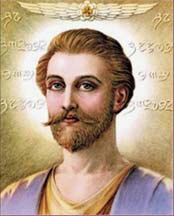 This is so because the heirarch for the Aquarian Age is Saint Germain and he has given a dispensation to mankind that allows them to fulfill the mission of Jesus Christ. The Piscean Master has lifted our burdens for 2,000 yearsnot washed our sins or karma awaybut held them in abeyance until we were spiritual ready to take them back. Now we're finally ready. With the violet flame they can be washed and scrubbed away.
" ... If this mantra is recited a hundred times a day, merely a hundred times a day without interruption, one will become attractive to others and will effortlessly come by food and wealth and the necessities of life. One final word, as it says in the Bible, "God is no respecter or persons: But in every nation he that feareth him, and worketh righteousness, is accepted with him;" in other words, God or Padmasambhava in this case, could send his tertöns to re-embody anywhere, even right here in the United States. Such was the case when Padmasambhava revealed in a dictation that Elizabeth Clare Prophet was Padmasambhava's chief disciple, Yeshe Tsogyal. 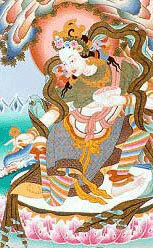 This was confirmed by a visiting Rinpoche, Bangri Rinpoche, when he recognized her as the former tertön, Princess Tsogyal. By the way, when Bangri Rinpoche returned to Tibet to help children, he was arrested along with his sister and put in prison . They remain there to this day and could use your prayers. Why did Padmasambhava send his chief disciple to America? I think it's obvious. Look what happened to another of his tertöns, Bangri Rinpoche. Tibet is no longer free. Saint Germain helped found America (1, 2, 3 ) so that freedom of religion might be safeguarded for all faiths and mystical teachings. The three of them, Padmasambhava, Yeshe Tsogyal and Saint Germain, have returned once again to bring us, the "most sacred treasure of allthe violet flame." Sir Francis Bacon, Shakespeare, the Supernova of 1604 and the 800 Year Spiritual Cycle (which includes Padmasambava.